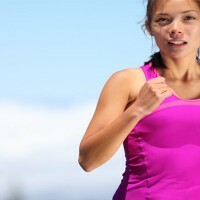 This year, the Endometriosis Foundation of America (Endofound) was quite fortunate to have a number individuals show their support by organizing events in their local communities. Our volunteers dedicated the time and effort to raising endometriosis disease awareness, while also raising funds to benefit Endofound’s programmatic initiatives such as The ENPOWR Project, Awareness Day and Medical Conference, and The ROSE Study. Over the past year, numerous events have been organized, ranging from car shows to art gallery exhibits to EndoWalks. These efforts make a tremendous impact in the endometriosis community, and this month, we are proud to feature the work of a committed recent high school graduate. 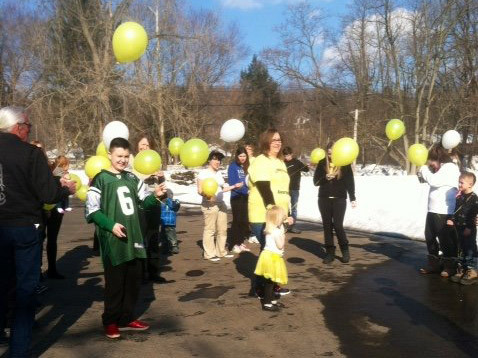 19 year old Alyssa Sanchez hosted a community event to raise funds for Endofound in her hometown of Gowanda, NY. Her fundraising activities were featured on the front page of her local newspaper, “The Gowanda News,” on April 4, 2015! In that article Alyssa noted, “It’s frustrating. You go to the hospital in pain and they run all kinds of tests on you even though you tell them ‘I have endometriosis. I know what’s causing this.’” We are so proud of Alyssa’s work and caught up with her to learn more about her event. 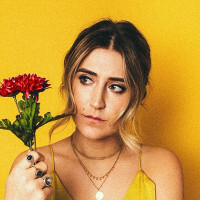 ALYSSA: For my first event, I decided to host the fundraiser in March for Endometriosis Awareness Month, and it included a Chinese auction, bake sale, food, live music, and novelty awareness gifts such as t-shirts, bracelets, bears and magnets. According to Alyssa’s family, the American Legion donated the venue space, the Methodist church provided the band, and local businesses donated basket prizes for the auction. Endofound: What inspired you to host the fundraiser? ALYSSA: No woman should have to suffer like I have. I wanted family and friends to see and know what their loved ones go through when dealing with endometriosis. I knew doing something simple, like hosting a fundraiser, could possibly contribute to finding a cure, and spare someone from enduring the pain that so many women with endo go through. Also, I wanted to connect with other women, and give back to the Endometriosis Foundation of America. Endofound: How long did it take for you to organize the fundraiser? ALYSSA: I just had a thought of "Hey! 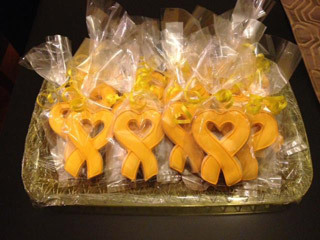 Let’s have an endometriosis fundraiser!" And my family looked at me like I was crazy because Endometriosis Awareness Month was only 6 weeks away. So I only had a month to plan it! It was just me, my mom and my grandma. We all came together with different ideas to make the fundraiser a success. Endofound: Is there anything you would have done differently? ALYSSA: I wish I had more time to plan it. It was insane trying to get everything together in time, but thankfully everything came together like it should. ALYSSA: I love how Endofound works. They work so hard to spread awareness and to get knowledge out about endo, especially to kids. 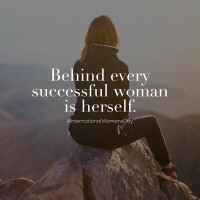 What really caught my eye is how supportive they are to other women who have it. They help spread the word about what it feels like to have endo and about the early signs of endo. ALYSSA: It is important because the foundation has great resources about endometriosis and how it could affect you if not caught in time. Unfortunately it could take years to get diagnosed, but having knowledge early on could help you in the end. ALYSSA: I was diagnosed on December 10th, 2013 at 17 years old. I think if I had seen an ENPOWR presentation, I would have had a better understanding of my painful periods. I always thought it was normal. I was diagnosed with stage 3 and never heard of endo before. I wouldn't have waited so long to go and get checked. Endofound: What advice would you offer for anyone who might be interested in organizing a fundraiser for Endofound? ALYSSA: My advice is if you believe in anything, you yourself can make it happen. I had a vision it would turn out amazing, and it did. 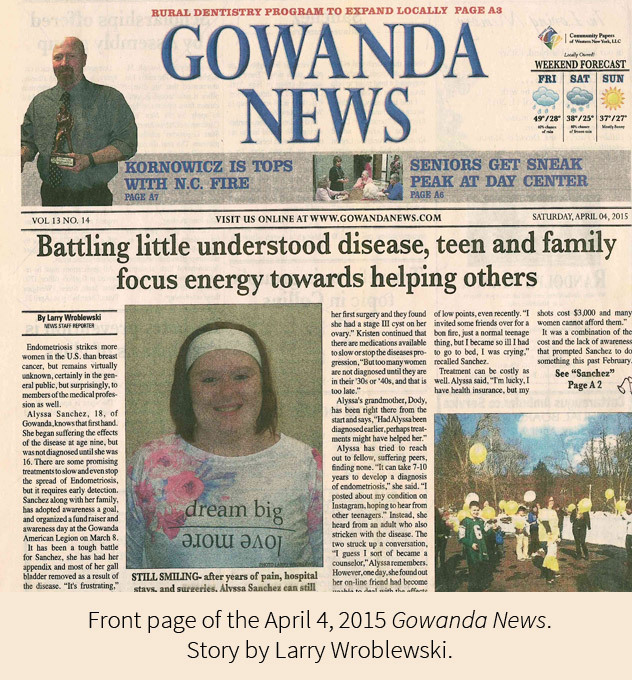 To read Alyssa’s letter to the editors of the Gowanda News, click here. If you are interested in organizing a fundraiser of your own to benefit Endofound, please contact.